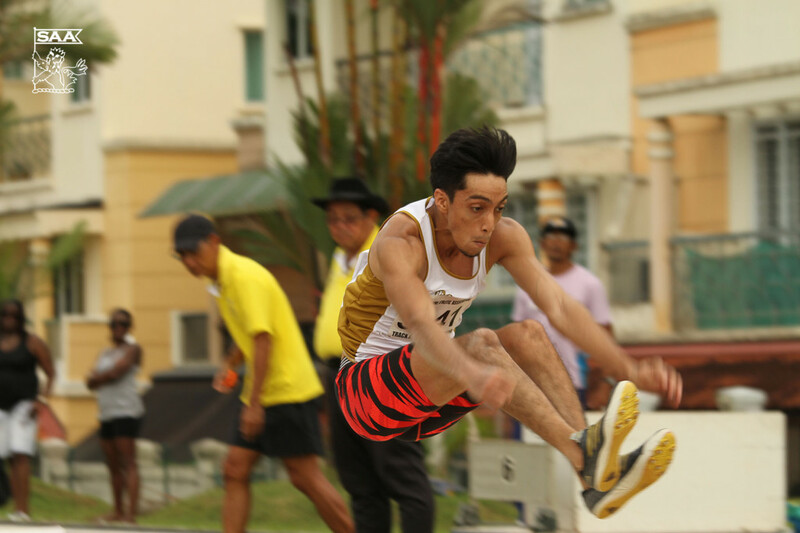 Khan Meng Linn will be representing Singapore in the Men Long Jump Open & Men Triple Jump Open at the 76th Singapore Open Track & Field Championships 2014. Here’s is his profile awareness of our selected National Athletes for the competition. Preparation has been great. I just need to fine tune my run up and technique and I’m good to go. I’m expecting a PB at Singapore Open. I hope the steep level of competition will spur me on to break my PB. Stefan Holm is my idol. I started out as a high jumper and whenever I looked for videos on YouTube to learn the technique, I always saw him in the videos. He isn’t very tall, unlike most of the other high jumpers. Yet he still managed to clear the bar each time it rose. I’m not very tall myself so it’s really inspiring to see living testament that height isn’t a barrier. It was during a sports camp in poly that I had my first experience in high jump. I immediately knew it was what I wanted to do for the next 3 years. Since young I’ve always had an interest in jumping over things. I would challenge myself to see if I could reach a road sign or jump over a certain number of chairs. I guess what enticed me was the challenge of clearing an “obstacle”.